We are immersed in offering an exquisite variety of Fancy Boys Night Wear that is highly demanded in the global market. Our offered boys night wear is tailored in different colors, patterns shades and sizes to cater the precise demands of our precious clients. With the help of our expert team members, we have been able to provide Kids Night Suit. Matching up with the ever increasing requirements of the customers, our company is involved in offering Boys Night Suit. We are amongst the most reckoned names in the industry, offering performance based array of Boys Night Suit. Our entire product range is designed using skin-friendly fabric and advanced technologies. They are easy to wash and ensure smooth finishing standards. Boys Night Suit is easy to carry and is light in weight. We offer a varied collection of boys night suit. Available in small sizes. Meant to provide comfort these are made of 100% cotton knitted cloth. A wide spectrum of colors, designs, and patterns makes them extremely sought after. The utility also lies in regular wear. An important daily wear item, this is another product of ours which is always in demand. We provide our clients with a wide range of night-wear in different colors and designs which are comfortable to wear in nights. Apart from standard sizes, we also design as per the request of the clients. These garments are made from skin friendly fabrics and are easy to hand wash.
We have gained expertise in offering world Boys Cotton Nightwear which is known for its superior quality and smooth fabric. This Boys Cotton Nightwear is known for its various attractive designs and comfort fitting. 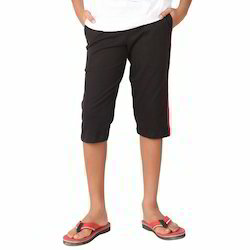 This Boys Cotton Nightwear is available in various colors and sizes which satisfy the clients completely. We are one of the leading organization engaged in providing excellent quality Boys T- Shirts, which are manufactured by using high grade material. These Boys T- Shirts are widely appreciated by our clients which are situated all round the nation. High in demand, these Boys T- Shirts are available at most reasonable prices.